We are proud to announce that the Solar Gate, located in Hull's Queens Gardens, has been nominated for yet another award. This time the extraordinary structure has been shortlisted for the RIBA Regional Awards 2019. The RIBA Awards have been recognising and celebrating architectural achievements for over 180 years. The extraordinary Solar Gate was designed by Tonkin Liu. Not only does it look great, but it has been designed and engineered with Hull's history heavily embedded. Tonkin Liu describes the piece as "a sundial that uses solar alignment to mark significant times and dates in Hull. 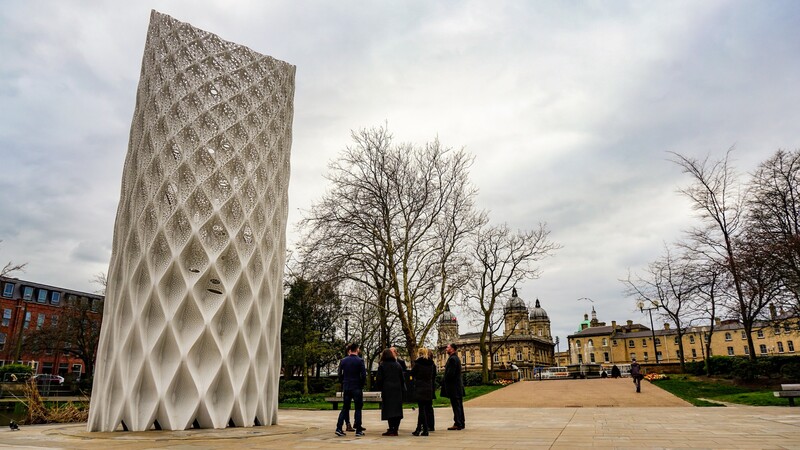 The super-light innovative two-shell structure is place-specific, responding to pivotal historic events and to the cultural context of its location in Hull’s Queens Gardens adjacent to the ancient site of Beverley Gate". 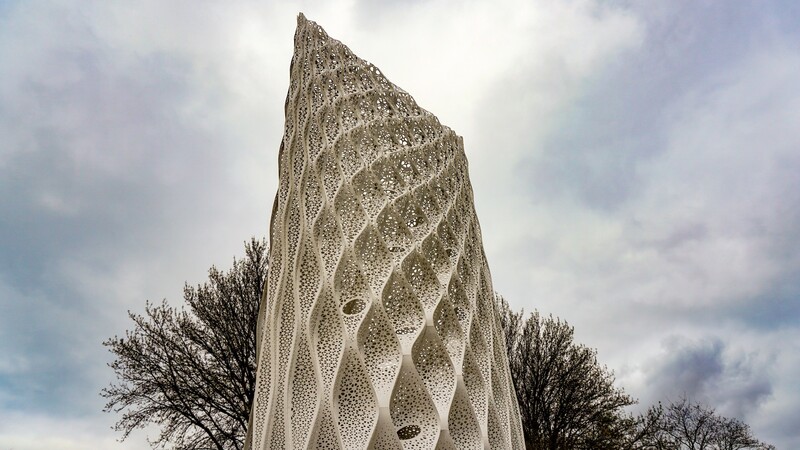 Pearlgreen Engineering Director, Tony Schultz met with the RIBA team, Tonkin Liu and Hull City Council to revisit the 10 metre high, 4m wide and 1m deep sculpture, and reminisce over the hard work that went into its design, creation and installation. We look forward to hearing the results of the RIBA Awards and are honoured to be nominated for the prestigious opportunity. For more news and information on our services, subscribe to our mailing list below. You can also follow us on our Facebook and Twitter profiles for further updates. If you require metal engineering and fabrication services for your project, speak to one of our friendly team on 01482 618441.